It’s no secret that a car’s engine requires a lot of routine maintenance. Even a vehicle that is extremely well cared for will need a tune-up once in a while from a Phoenix auto repair shop. However, this doesn’t mean that your engine’s health is entirely out of your hands. Even if you know next to nothing about auto repair, there are still several simple things you can do to keep your car on the road. Here are just a few to keep in mind. You may think that it is better for your car to only make short trips, but you could in fact be causing some unnecessary wear and tear on your vehicle. Ideally, a car should run for at least ten minutes whenever it is driven. This gives the engine enough time to reach its full operating temperature. This helps the engine turn the water it creates as a byproduct into vapor and expunge it through the exhaust system. When the water isn’t allowed to evaporate, it can dilute the oil and eventually shorten the engine’s lifespan. Most vehicle owners know that their vehicle’s oil should be changed every three months or every 3,000 miles, yet many people will drive until their oil’s life is near its end. 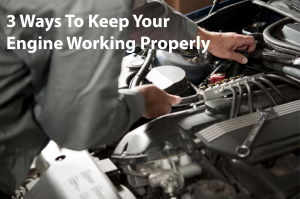 While many modern vehicles can technically go longer than t hree months without an oil change, it’s still not a great idea if you want your engine to stay healthy. 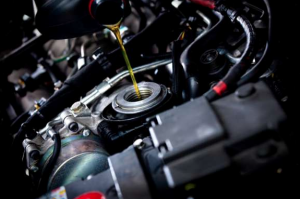 If you don’t know how to change your oil yourself, it is very easy to find discount auto repair in Phoenix. The right mechanic will be able to change your oil quickly and at an affordable price, so there should be no reason why you cannot get regular oil changes. As fun as it may be to gun the engine and accelerate quickly, it is really hard on your car’s engine. If you want your engine to last, accelerate slowly and brake gently. You may not think this is an option if you’re in a big hurry, but as long as you relax and don’t step on the gas or the brake, you’ll be able to get the most out of your engine. It’s also important to remember that your engine will need regular maintenance from a mobile mechanic in Phoenix or wherever you may be. You will be putting at least some wear and tear on your engine as you drive, even if you drive gently. Be careful with your vehicle, and never hesitate to find a mechanic if you have any questions about your engine’s health.